Kibbutz MaAgan on the southern end of the Sea of Galilee. Our home for three nights. Sara Jo contemplating the place where Armageddon will take place. 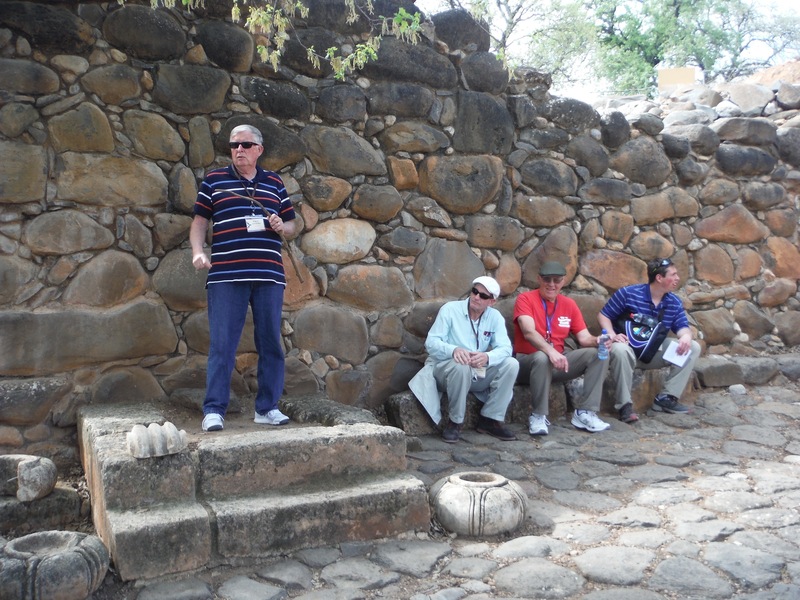 Some of the famous 33 absorbing info at the Megiddo gate. Our great guide Susan explaining about the ancient city gate at Megiddo. The Roman aqueduct which brought water to Caesarea. Remains of Herod the Great's harbor at Caesarea. Ongoing archaeological excavation at Caesarea. Cacarea Maritima: Roman headquarters in the first century. Just some of the statuary found at Caesarea. Dr. Benware teaching at Herod's Praetorium (residence of the Roman governor) at Caesarea.